The Rice Mill was started in 2013 as Self Help Programme of 20 families. 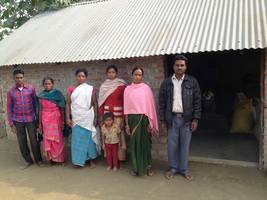 The rice mill creates employment for 12 people, who are organised as Self Help Group (SHG). 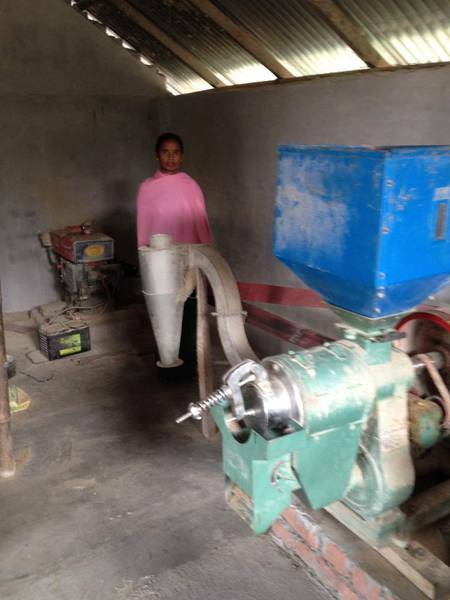 There is a rotation system in place so that all families benefit from the mill. The profits are evenly shared among them. Every year ricer is purchased worth Nepali Rs 300.000. After being processes which takes about 45 days it is sold for Nepali Rs 500.000 and the profit is either reinvested or shared. In the meantime the SHG has expanded its activities and started to cultivate wheat and maize on the land which is leased. 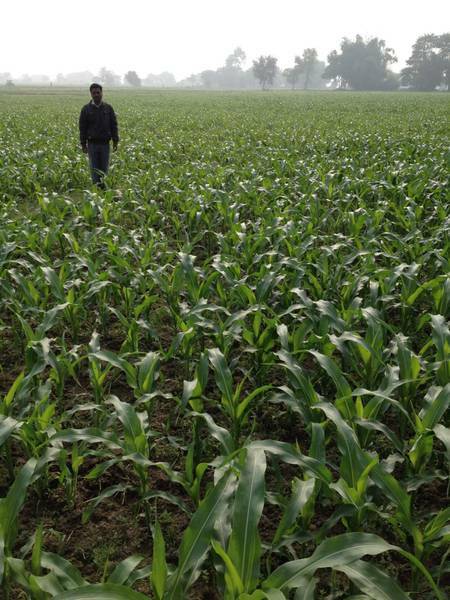 The lease for the 8 acres of land amounts to Nepali Rs.350.000. 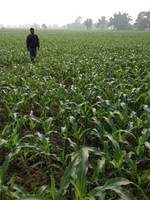 The selling of Maize created an income of Nepali Rs 1.200.000 resulting in a profit of Nepali Rs.850.000. The saving schemes on community level bridge the gap between the formal and informal financial sector. 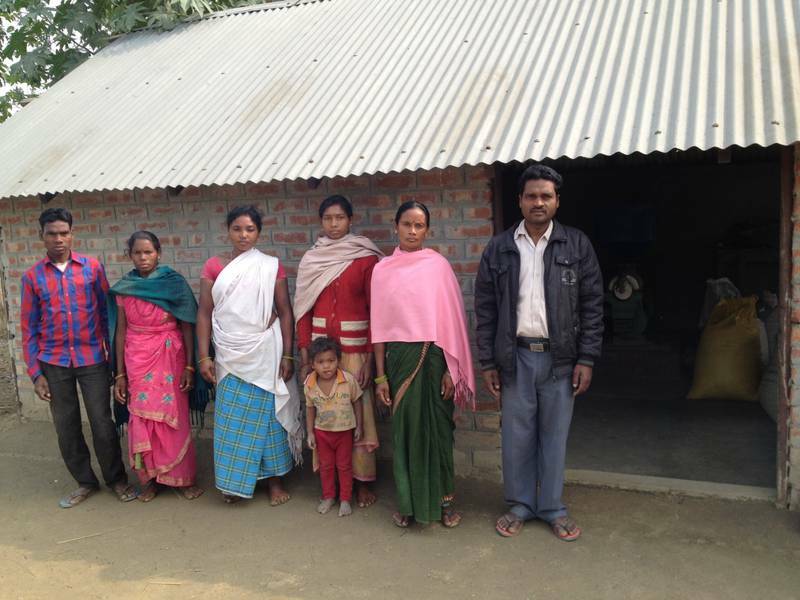 The saving groups offer crucial support for the rural poor by providing a relatively safe place to store savings. Moreover the groups create a social pressure to encourage its members to continuously spare money. 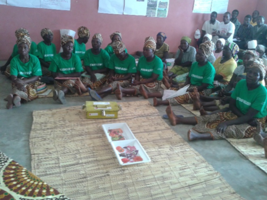 Within one year the project in Moatize helped to establish saving groups that benefit 200 families. The first savings and revolving credit group was formed at the beginning of 2015 consisting of a group of 11 women and 1 man. One year later 8 groups with an average of 25 members (70% are women) and accumulated savings of over Meticais 500.000 (appr. EUR 9.400) are functional. The loans granted to members amount to Meticais 700 (EUR 15) and have to be paid back within 3 months. The typical business financed by a loan is small scale trade, mainly of fruits and vegetables. The profits gained in the business are mostly used to increase the agricultural production, to construct and improve homes and stalls, business expansion and purchase of means of transport, like bicycles and motorcycles, to transport people and goods. One of the direct results of the saving schemes is the empowerment of rural women, who are the ones running and heading most saving groups. Most women who have joined the initiative, contribute significantly to the well-being of their families, leading the acquisition of goods and services the families need to improve their standard of living. Maria Mwazanane, member of the saving group Chiguirizana, is a 44 years old woman and mother of three children and two grandchildren, says that she was struggling since her husband had no work. 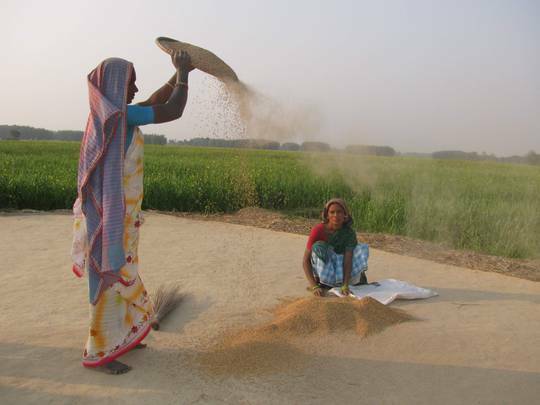 After joining the saving group she saw the neighbours receiving agricultural inputs and technical assistance. This encouraged her to start her own business of establishing a small shop and trading vegetables. She says: "When I joined the group I was very shy, but now I'm not afraid to speak when there are many people, including men and women. I helped my husband buying bricks to build our home with the money we could get from the sale of vegetables. 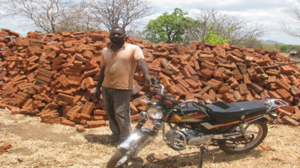 Today I also can buy food for the family and school supplies for children"
The business developed very well and the family managed to buy a motorbike, which is now used by her husband Manuel Manote to transport the vegetables and people. 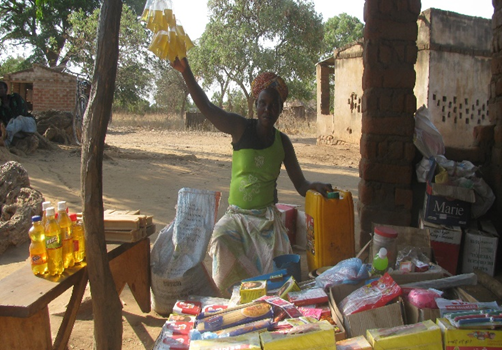 In rural areas of Mozambique there is usually no access to electricity, thus the people rely on firewood and oil lamps to provide lighting at night. This traditional lightning is not very effective and it damages the environment and the health due to the smoke. Moreover, it's dangerous especially for children, there are frequent case of children who get burned and injured. To address this problem the Salesians Don Bosco with support from Jugend Eine Welt and the Austrian development Agency have built a Photovoltaic system that provides renewable energy to 300 families and 2.800 students from the district of Moatize in Tete province. 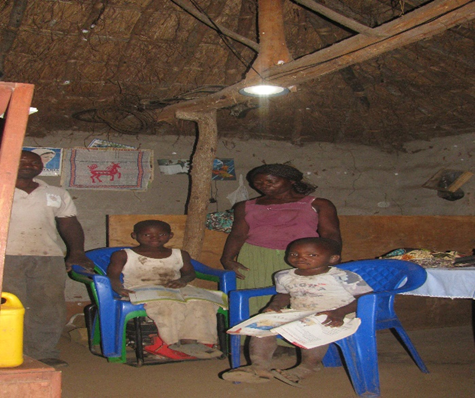 Thanks photovoltaic devices local families now have lighting at night to work in the household whereas their children can do their homework even after dark. 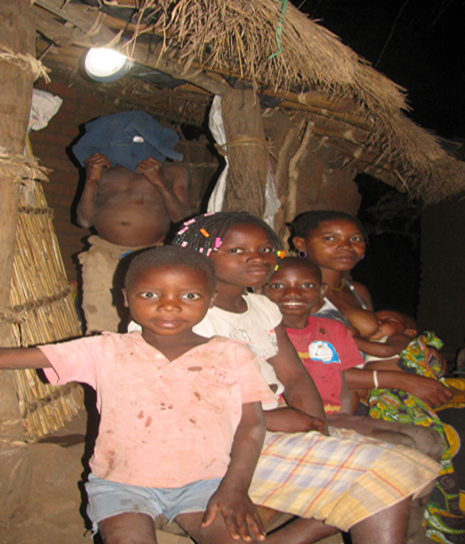 The extra lighting also allows various income-generating activities which can take place at night. The positive effects of the Photovoltaic lightning are widely visible. • 2.800 children are able to study after dark. • There is a reduction of respiratory diseases caused by inhalation of smoke, as the beneficiaries no longer use coal, wood and oil as an energy source for lighting. • Photovoltaic devices are used for recharging mobile phones. • Teachers use photovoltaic devices for planning lessons, correction of tests and preparation of guidelines after dark. • 100 small businesses with improved living conditions due to the income generated by the use of photovoltaics to develop their business after dark. Two beneficiaries point it out clearly: "I use the photovoltaic devices at night to make bread and cookies and the day after tomorrow take them to the local market to sell" Maria Abilio says. Joseph Rostalina adds "Now I can leave children without worries, I know that they will not get burned. This was very different when we were still using candles or oil lamps. I had to worry too much and pray that in the days when I had to leave teh house my children will not cause troubles by making a fire".